Dr. Chen-Fu Chien is Tsinghua Chair Professor, in the Department of Industrial Engineering & Engineering Management, National Tsing Hua University (NTHU), Taiwan. Professor Chien is the Convener for Industrial Engineering and Management Program, Ministry of Science & Technology, Taiwan. He is the Director of Artificial Intelligence for Intelligent Manufacturing Systems (AIMS) Research Center that is one of four national AI centers sponsored by MOST, Taiwan. He has been Principal Investigator for the Semiconductor Technologies Empowerment Partners (STEP) Consortium and the Director for the NTHU-TSMC Center for Manufacturing Excellence in NTHU. He received B.S. with double majors in Industrial Engineering and Electrical Engineering with the Phi Tao Phi Honor from NTHU in 1990. He received M.S. and Ph.D. of Decision Sciences and Operations Research with two minors in Statistics and Business at the University of Wisconsin-Madison, in 1994 and 1996, respectively. He was a Fulbright Scholar in the Department of Industrial Engineering and Operations Research, UC Berkeley, from 2002 to 2003. He also received the Executive Training of PCMPCL from Harvard Business School in 2007. He was a Visiting Professor in Institute for Manufacturing, Cambridge University (sponsored by Royal Society, UK), Visiting Professor in Beijing Tsinghua University (sponsored by Chinese Development Foundation), Visiting Professor in Waseda University (sponsored by Japan Interchange Association Young Scholar Fellowship).His research mainly concerns the development of digital decision, big data analytics, and optimization methodologies and better analytical solutions for high-tech companies confronting with multi-objective decision problems involved in strategy, manufacturing, and technology that are characterized by uncertainty with massive data and a need for tradeoff among various objectives and justification for the decisions. Dr. Chien and his Decision Analysis Lab Associates have conducted many university-industry collaborative research projects with domain experts. From 2005 to 2008, he had been on-leave to serve as the Deputy Director of Industrial Engineering Division in Taiwan Semiconductor Manufacturing Company (TSMC) that is the world leading wafer foundry. Dr. Chien has 23 invention patents for intelligent manufacturing and published more than 170 journal papers. Dr. Chien has received many awards including the Executive Yuan Award for Outstanding Science & Technology Contribution (2016), the National Quality Award from the Executive Yuan (2012), Distinguished Research Awards (2007, 2011, 2016), Tier-One Principal Investigator (2005-2008), and Best Research Awards from the Ministry of Science & Technology, University Industrial Contribution Award from Ministry of Economic Affairs for Individual Contribution (2009), Distinguished University-Industry Collaborative Research Award from the Ministry of Education (2001), Distinguished Young Faculty Research Award (2001) and Distinguished University-Industry Collaborative Research Award (2007) by NTHU, Best Paper Award (2001), Distinguished Young Industrial Engineer Award (2001), IE Medal (2010) from Chinese Institute of Industrial Engineers, Best Engineering Paper Award (2002) and Distinguished Engineering Professor (2010) by Chinese Institute of Engineers, TSMC-NTHU Faculty Semiconductor Research Grant (2004), and the Lu, Feng-Chang Award from Chinese Management Association (2007). He received the 2011 IEEE Trans. on Automation Sciences and Engineering Best Paper Award and the 2015 IEEE Trans. on Semiconductor Manufacturing Best Paper Award. Dr. Chien is a fellow of APIEMS, CIIE, and CSMOT. He is Area Editor for Flexible Services and Manufacturing Journal, Associate Editor for IEEE Transactions on Automation Science and Engineering and Journal Intelligent Manufacturing. He is on the Advisory Board of OR Spectrum and editorial board for Computers and Industrial Engineering. 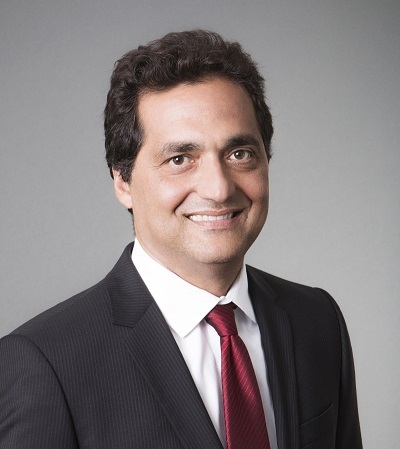 Maged M. Dessouky is a Professor and Chair in the Daniel J. Epstein Department of Industrial and Systems Engineering. His research area is transportation system optimization where he has authored over 90 refereed publications. His paper “Optimal Slack Time for Schedule Based Transit Operations” was awarded the INFORMS Transportation Science and Logistics Best Paper Prize. He is a Fellow of IISE and serves as Associate Director of METRANS, a center focused on solving important urban transportation problems. He is currently area/associate editor of Transportation Research Part B: Methodological, IISE Transactions, and Computers and Industrial Engineering, on the editorial board of Transportation Research Part E: Logistics and Transportation Review, and previously served as area editor of the ACM Transactions of Modeling and Computer Simulation and associate editor of IEEE Transactions on Intelligent Transportation Systems. He received his Ph.D. in Industrial Engineering from the University of California, Berkeley, and M.S. and B.S. degrees from Purdue University. 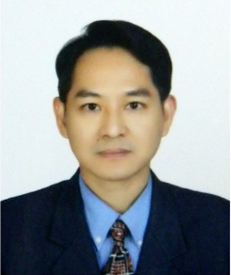 Prof. Yang XU received his Ph.D. from Ecole Centrale de Nantes (France) in 2010. 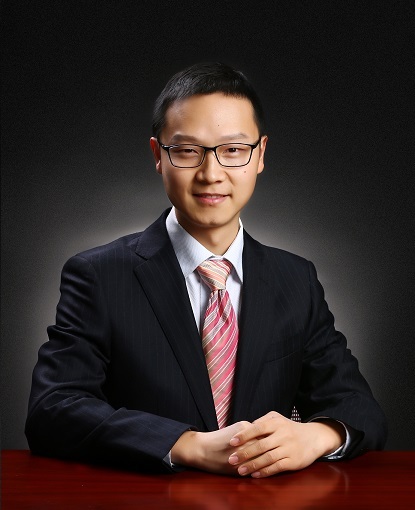 Since 2011, he has joined Peking University and became associate professor in 2013. He is visiting professor in Tsukuba University (Japan), Université Toulouse III (France), University of Buenos Aires (Argentina) and University of Edinburgh (UK). He published over 50 peer-reviewed scientific papers and many of them are published in outstanding SCI/SSCI index journals such as Computers & Industrial Engineering, Knowledge-Based Systems, Expert Systems, International Journal of Computer Integrated Manufacturing, Knowledge Organization, CIRP Annals. His research interests include industrial engineering, knowledge management, etc. Parames Chutima received his Bachelor of Engineering in Electrical Engineering from Chulalongkorn University, two Master degrees from Chulalongkorn University and Asian Institute of Technology, respectively, and a PhD degree in Manufacturing Engineering and Operations Management from the University of Nottingham, UK. Currently, he is a full Professor of Industrial Engineering, Faculty of Engineering, Chulalongkorn University, Thailand. In addition, he is also the Director of the Regional Centre for Manufacturing Systems Engineering, Chulalongkorn University. His research interests include multi-objective optimisation in operations management, production planning and control of assembly lines, just-in-time production systems and simulation modelling. He is the author of several international publications in conference proceedings and refereed journals. © 2018-2019. 2019 International Conference on Management Science and Industrial Engineering, All Rights Reserved.